Hyundai plans to launch 4 new models in Australia in 2016! It’s always exciting when an automaker announces that they have a new vehicle on the horizon, so imagine just how excited Australian consumers must be with the news coming out of Hyundai. There isn’t much longer to wait for the first new arrival of the year, as Hyundai Australia plans on launching the all-new Elantra sedan in the early part of 2016. This model will serve as a trusty companion to the i30 hatch. The new Elantra was officially unveiled at the LA Auto Show back in November, showing off a new style that is a definite evolution of the old. Consumers can expect a longer, wider Elantra this time around, and they can also expect to see a more refined look on the inside of the car. There is still no word yet on the engine line-up for the Australian model, but it is very likely that the same small petrol and diesel engines made available in other markets will also be used in Australia. Hyundai Australia has made mention of a sportier version of the new Elantra, although very little is known about the specifics of this model right now. About the only thing that we do know for sure is that it will land in Australia towards the end of the third quarter in 2016. We can also expect the Elantra performance model to come with a 1.6-liter T-GDI engine and 7-speed dual clutch transmission under the hood. The exterior will likely sport a more aggressive, sportier style, and we can also expect some suspension tune-ups to improve ride and handling. The Ioniq dedicated hybrid will also be arriving in Australia in the third quarter. This vehicle is the one that Hyundai believes can challenge the dominance of the Toyota Prius. We can expect to see hybrid, plug-in hybrid, and all-electric versions of the Ioniq. It will be the second half of 2016 when this one lands. Hyundai Australia have only confirmed the hybrid version so far, but they have revealed that the other two models (inoq plug-in and Ioniq EV) will eventually arrive at a later date. 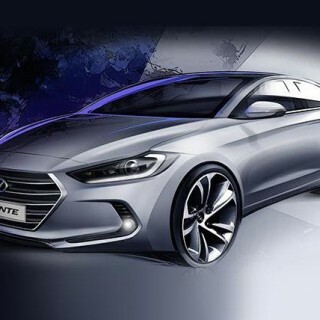 The Hyundai Genesis is set to undergo a global makeover in 2016, as the Koreans have created a luxury sub-brand bearing the Genesis name. All told, there will be 6 new models – 3 sedans, 1 coupe, and 2 crossovers – under the new brand name, with the current Genesis set to be renamed as the G80. This vehicle will arrive in late 2016 or early 2017, and should contain a number of styling and technology upgrades.